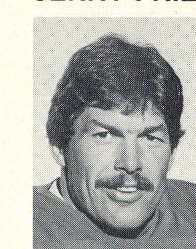 After attendng the University of Saskatachewan, Jerry Friesen was a second round pick (14th overall) by the Montreal Alouettes in 1978 CFL College Draft. With the University of Saskatchewan Huskies, Friesen was a CIS All-Star in 1976 and 1977. Friesen played three seasons in Montreal (1978-80), before being released in 1981. The Roughriders were only too happy to sign the native son and Friesen would play another five seasons in the CFL for the green and white. Friesen played linebacker and was a key performer on the Rider special t eams. Perhaps the highlight of Frisen's career was being named the wnner of the Tom Pate Memorial Award in 1985. The Tom Pate Memorial Award is presented annually by the CFLPA for sportsmanship, contribution to his team and contribution to the community. Following his playing career, Friesen turned to coaching Friesen started his career with his old alma mater, serving as an assistant coach with the Huskies from 1986 to 1995. As part of the Juskies, Friesen won a national titlie in 1990. Friesen rejoined the Riders in 1996 as an assistant coach for the linebackers. 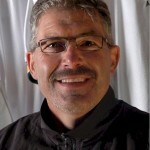 Friesen went on to be the defensive coordinator with the University of Calgary from 1997 to 2000, before getting his first head coaching job with the University of Alberta Goldlen Bears from 2001 to 2010. In 2004, Friesen was named the CIS coach of the year. In 2011, Friesen resigned from the Golden Bears and returned once more to the CFL and he Saskatchewan as an assistant coach again.